The BSP chief also questioned the Congress over non-implementation of its proposed ‘NYAY’ or minimum income guarantee scheme in the party-ruled states, including Chhattisgarh. 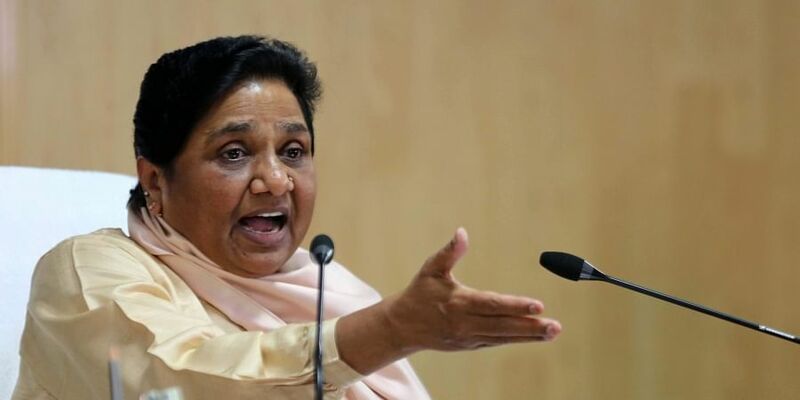 RAIPUR: Invoking Bofors and Rafale deals, BSP chief Mayawati on Sunday accused the BJP and the Congress of “corruption” in defence deals, and of misusing the CBI and ED to “drag” Opposition parties into false cases. She also said that ‘today the nation’s border is not in safe hands’. “Earlier there was dubious Bofors deal and now the controversial Rafale. They have not spared even the army,” said Mayawati while addressing her first public rally in Janjgir-Champa, Chhattisgarh’s only Schedule Caste reserved Lok Sabha seat, around 230 km east of Raipur. She also questioned the Congress over non-implementation of its proposed ‘NYAY’ or minimum income guarantee scheme in the party-ruled states, including Chhattisgarh. Citing the Pulwama attack as the failure of Modi-led Centre, she took a jibe at the BJP over playing a new “drama” over the catchword ‘Chowkidar’ to reap political benefits. Targeting the PM, Mayawati said people have now understood his “jumlebazi” (false promises). “The ‘chowkidar’ cannot mislead people anymore,” she said, adding that BJP leaders only give hollow promises. Former CM Ajit Jogi too and his son Amit were also present during the public rally.